According to The Business Research Company’s Media Consultant, Ramesh Yelugoila, the penetration of newer distribution platforms like IPTV and DTH and online platforms such as YouTube, Vimeo is driving the growth of the film and music market. Digitization of TV platforms has paved the way for better sound and picture quality for viewers and increased revenues for stakeholders in the value chain and resulted in more bandwidth to broadcasters to provide value added services. Digital production in films has reduced film processing, storage costs, digital distribution and exhibition and also led to enhanced picture quality and shortened release window. Time Warner Inc. (Time Warner) was the largest in the global film and music market with revenues of $12.9 billion for the financial year 2015. Time Warner’s key strategies are to focus on making high investments in best content, to lead digital innovation, to expand international presence and to operate and allocate capital efficiently. It is executing TV Everywhere (TVE) strategy to enhance the value of traditional pay-TV subscriptions by making access to its networks’ content available on multiple devices via Internet connection. The chart below shows the year-on-year growth of the global film and music market during 2016 - 2020. The film industry mainly consists of establishments engaged in the production and distribution of motion pictures and other forms of videos. Together they make up the film and television production markets, two of the dominant media’s globally. Types of establishments in this industry are: • Motion Picture and Video Production Establishments engage in producing and distributing motion pictures, videos, television programs, or television commercials. • Motion Picture and Video Distribution Establishments acquire distribution rights and distribute film and video productions to motion picture theatres, television networks and stations and exhibitors. • Motion Picture and Video Exhibition Establishments engage in operating motion picture theatres and/or exhibiting motion pictures or videos at film festivals. • Postproduction Services Establishments engage in providing specialized motion picture or video postproduction services such as editing, film/tape transfers, subtitling, credits, closed captioning and animation and special effects. Sound recording industry comprise establishments mainly engaged in producing and distributing musical recordings, in publishing music or in providing sound recording and related services. The sound recording industry is dominated by music, and in particularly pop music, rap and rock. Types of establishments in this industry are: • Record Production Establishments mainly engage in record production. These establishments contract with artists for the production of original master recordings. • Music Publishing Establishments acquire and register copyrights for musical compositions in accordance with the law. They also engage in promoting and authorizing the use of these compositions. • Integrated Record Production/Distribution Establishments release, promote and distribute sound recordings. They manufacture or arrange the manufacture of recordings such as audio tapes/cassettes and compact discs and promote and distribute these products to wholesalers, retailers or directly to the public. • Sound Recording Studios provide facilities and technical expertise for sound recording in a studio. These establishments may provide audio services for film, television, and video productions. • Other Sound Recording Industries are mainly engaged in providing services such as audio recording of meetings and conferences. Film, sound and video tracks once scripted move to a preproduction phase. 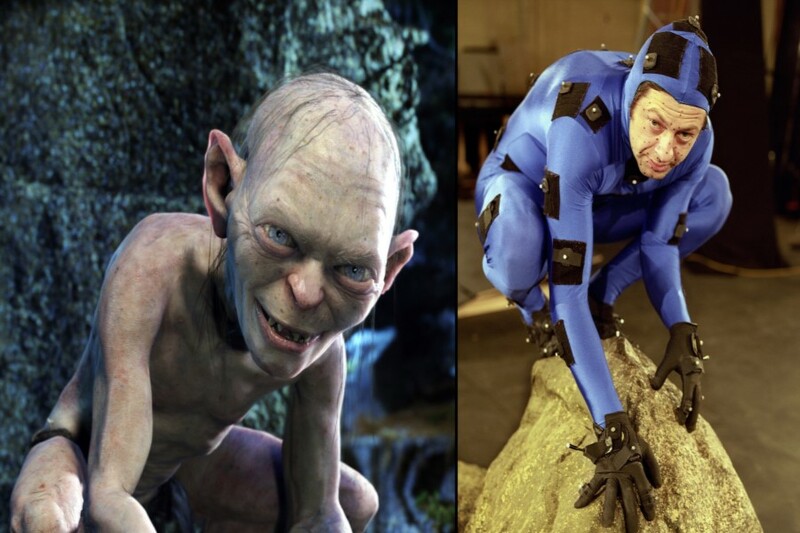 In the preproduction phase artists, technicians are shortlisted or hired and locations for filming and recording audio and video tracks are finalized. Once the film making is completed it is sold to distributors and exhibitors for release. Artists and producers after recording an audio or video sell it to music companies for release. Some producers release their movies, audios and videos on digital platforms such as YouTube, Vimeo, Facebook, Twitter and Instagram. Film, video and sound tracks are major forms of mass media. These forms of mass media are primary sources of entertainment for general public. They also act as a platform for exchange of ideas, suggestions and comments. The general public typically relies on video content aired on television to gather information regarding political issues, social issues, entertainment, and world-wide news. 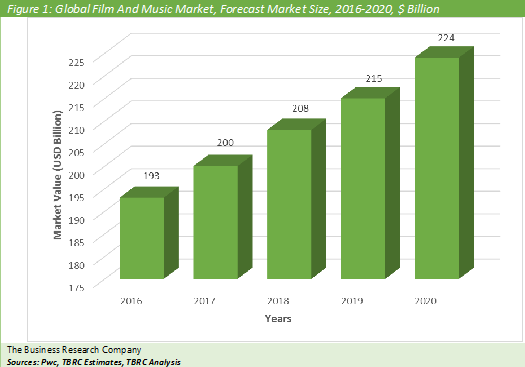 Film And Music Global Market Briefing is a detailed report giving a unique insight into this market. The report is priced at $750 for an individual user. To use across your office the price is $1000 and $1350 if you wish to use across a multinational company. About The Business Research Company Visit TheBusinessResearchCompany.com, mail info@tbrc.info or call +447443439350 or +918897263534 or +919160996838 for more information on this and many other titles. The Business Research Company is a market research and intelligence company, which excels in company, market and consumer research. It has research professionals at its offices in the UK, India and the US as well a network of trained researchers globally. It has specialist consultants in a wide range of industries including manufacturing, healthcare, chemicals and technology. The Business Research Company's management has more than 20 years of varied business research experience. They have delivered hundreds of research projects to the senior management of some of the world's largest organizations.